Zombies and monsters and werewolves, oh my…. Young kids and families will have a blast trying to find the mysterious matches on these Halloween-themed Spot It cards! The game is the same as the original: each pair of cards has only one matching image. Be the first to spot the match and take the card. The player with the most cards wins! It’s really the beautiful sugar skulls that make this game feel Halloween-y, so if you’re looking for theme, keeping scrolling! But for light games, this one hits the spot. In this bluffing game, players are trying to earn just 2 points – but points are hard to come by! 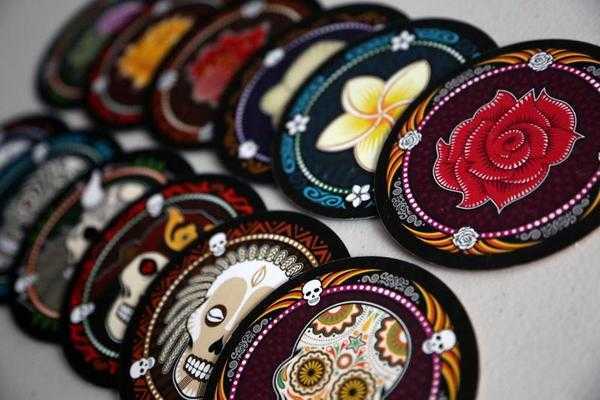 Players start with 4 cards: 3 flowers and 1 skull. Each player in turn order plays a card secretly, and continues to do so until someone decides to make a bet on how many cards they can reveal with a flower, starting with their own top card. Players can outbid one another until everyone else passes. Think you can find 2 flowers? Three? It’s harder than it seems! Reveal a skull, and you lose the round, and a card. Sets can be combined to accommodate more players. Great for those newer to strategy games. Players explore a haunted mansion, revealing rooms tile by tile. Along the way you’ll come across items and omens until eventually, one player is turned into a betrayer! This player has their own objective in order to win, and the remaining players must work together to defeat the traitor before the betrayer completes their goal. If you enjoy Lovecraft and Cthulhu-based games but want don’t want an all-day affair, Elder Sign is a great alternative. It is 1926, and the museum’s extensive collection of exotic curios and occult artifacts poses a threat to the barriers between our world and the elder evils lurking between dimensions. Players take the roles of investigators racing against time to stave off the imminent return of the Ancient One. 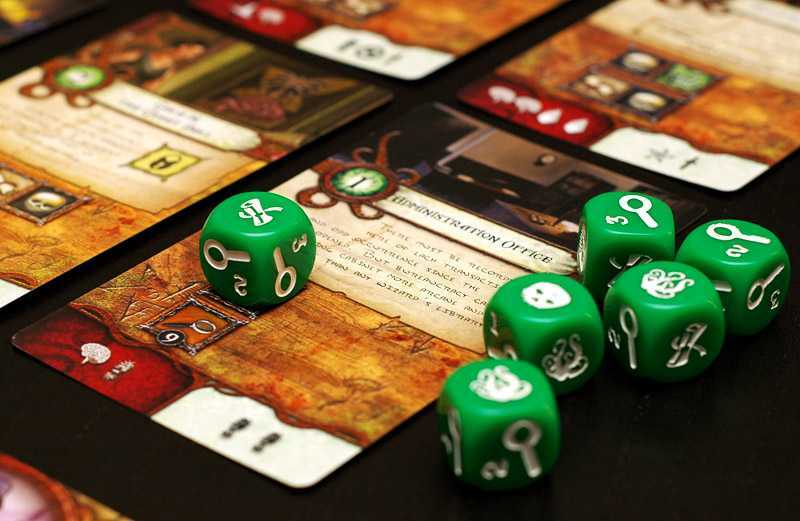 Armed with tools, allies, and occult knowledge, investigators must put their sanity and stamina to the test as they adventure to locate Elder Signs, the eldritch symbols used to seal away the Ancient Ones and win the game. A clever and thematic dice mechanism pits their exploration against monsters and the sheer difficulty of staying sane and healthy, all within the standard game duration of one to two hours. This is best described as a mix between Clue and Dixit; easy to learn, great art, and filled with mysterious images perfect for setting a creepy scene! One player takes on the role of a ghost that has been murdered. 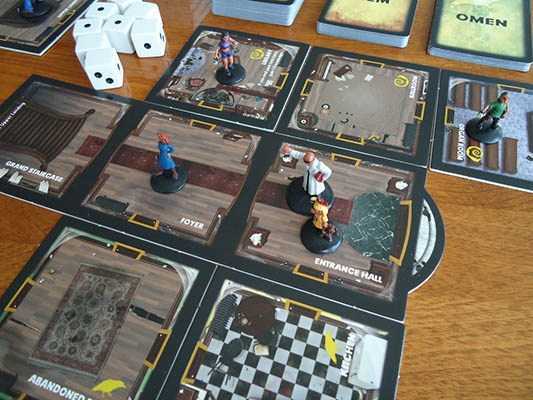 The remaining players are mediums or investigators, trying to solve the murder by figuring out the culprit, the location of the crime, and the murder weapon. The ghost is trying to help the investigators through dreams, represented by cards with unique, abstract artwork that gives clues about who, where, what killed them. This award-winning game is a popular choice for hobby gamers and those newer to gaming alike. The Bloody Inn: Lure customers into your inn to rob them, and some will never leave! Hide the bodies and amass a fortune in this gruesome game. Dead of Winter: A zombie-themed cooperative game with a possible betrayer – it’s basically perfect! Collect fuel, food, and other supplies, fend of the zombies, and find the betrayer. Can you trust your friends? Mansions of Madness: There are lots of Cthulhu-themed games available, and this is one of the biggest and best. For an all-night Halloween fest, this is a great choice. Up to 5 players work together to explore different locations, solving mysteries and fighting ancient beasts. Will you survive the night? Masque of the Red Death: A game of deduction and treachery based on Edgar Allen Poe’s work? Sold! Honestly, the phenomenal art and minis are enough for me, but there’s more to it than that. You are at a party: dancing and laughing to gain popularity, and overhearing rumors and gaining information to evade the Red Death. Werewolf: This is an interactive game of deduction and hidden-roles for two teams: Villagers and Werewolves. The Villagers don’t know who the Werewolves are, and the Werewolves are trying to remain undiscovered while they slowly eliminate the Villagers one at a time. We’ll see some of these games come out at our regularly scheduled Game Night on Tuesday, October 30.